As usual, Emma has been very lucky this month as a blogger’s kid and has received loads of things to play with and review. The most impressive item she received this month was the Animation Studio from HUE. This simple yet very clever creative kit has received numerous awards in the past and is known to be the best stop motion animation studio for non-professional use there is around. The studio comes with a flexible neck camera with a built-in microphone and animation software that can easily be downloaded into any computer or laptop. There is a school version for the software as well and older children can use small toys, Lego and modelling clay to create unique scenarios they can film and process themselves into short movies. We did not create anything worth making public just as yet but Emma has been very eager to put her imagination and role play into film and I can see her using the HUE Animation Studio loads as she grows up. The kit retails at £49.95 , can be bought here and it makes the perfect gift for the budding artist and film maker who dreams of expressing himself visually more than anything. Moving on to items that always come high on our preference list, Emma has been sent two books to review this month. 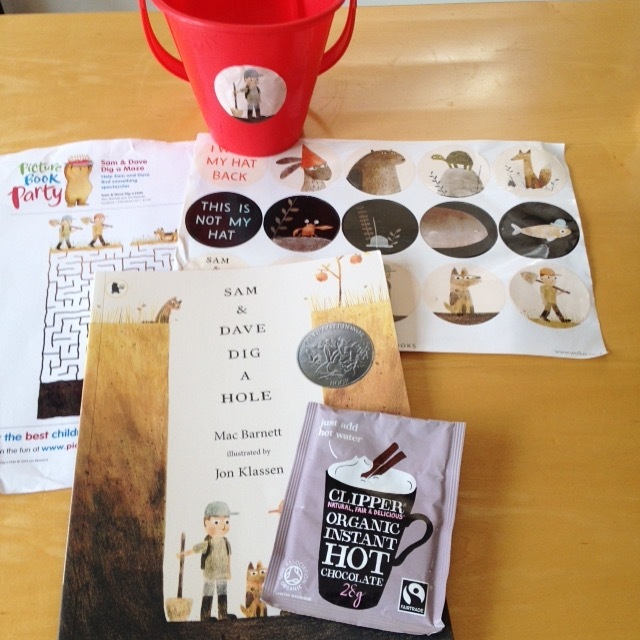 The first, the brand new (for the UK readership, that is) Sam and Dave Dig A Hole is the story of two friends and a dog who set out to dig a hole and are very close to discovering a treasure. The fact that they do not work together and use various strategies instead of agreeing on one common effort spoils their chances of ever finding the real treasure. The book’s simple yet effective message to its young readership is that perseverance and common effort work better than diverse yet inefficient strategies. The book retails at £5.99 with Prime on Amazon and makes for a pleasant evening read and can be a good cue for resolving conflict conversations. I have found also, for the teachers amongst us, a lesson plan based on the book, do give me a shout if you want to borrow the book and use it in the classroom at any time! 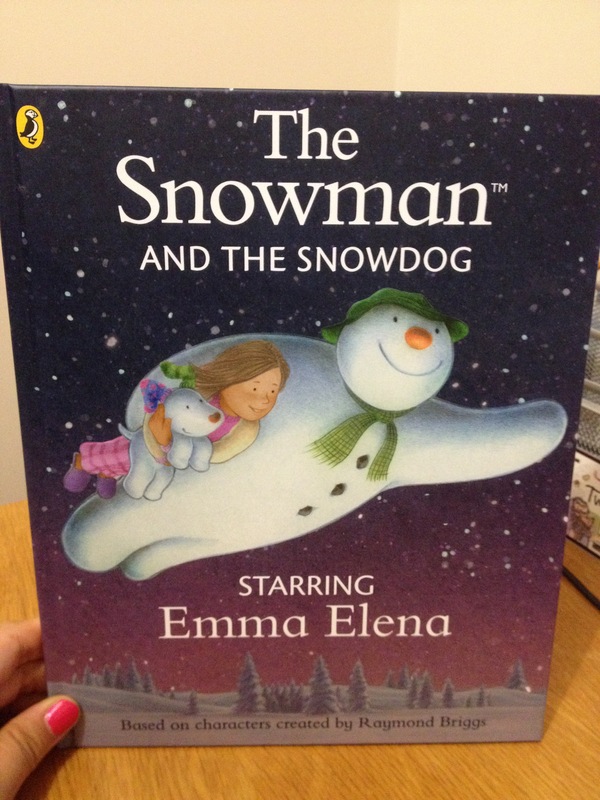 The second book we received for reviewing impressed Emma the most, as it is a personalised version of the well-known and now classical tale of The Snowman and the Snowdog. Penwizard has come up with this very clever idea of personalising children’s books and have a whole collection of popular books in which your little one can feature as the star character. Being able to change the gender, the skin and hair colour and the name of the main character makes the books extremely appealing to a small child and Emma did ask in awe, again and again, about how I managed to make her appear in the book :-). This is the second time we review books for Penwizard, I was both time impressed with the customer support, the prompt delivery and the quality of the books. The personalised version of The Snowman and The Snowdog retails at £17.50 usually but for a limited time, Penwizard offers two personalised books for only £25! The make gorgeous Christmas presents, for sure! 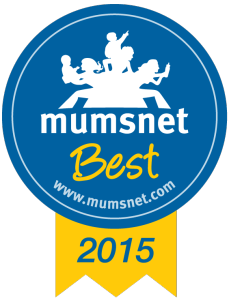 Another thing we loved reviewing this month, for Mumsnet this time, and as part of their Summer Audiobook Club, was The Worst Witch, by Jill Murphy. This was our first audiobook ever and we were truly impressed by how enjoyable a long trip to Newcastle became thanks to the story we listened to on CD! I found it very useful and worth investing in, as Emma didn’t go on her iPad at all during the trip. She was also exposed to new vocabulary and retained loads of new and impressive words and used them in the right context in the following days. The story provided for interesting conversations on the way back and for loads of laughs as we were listening to the CD! I am on the lookout for more audiobooks that are appropriate for Emma’s age at the moment, as I do think they are highly beneficial for vocabulary enrichment. 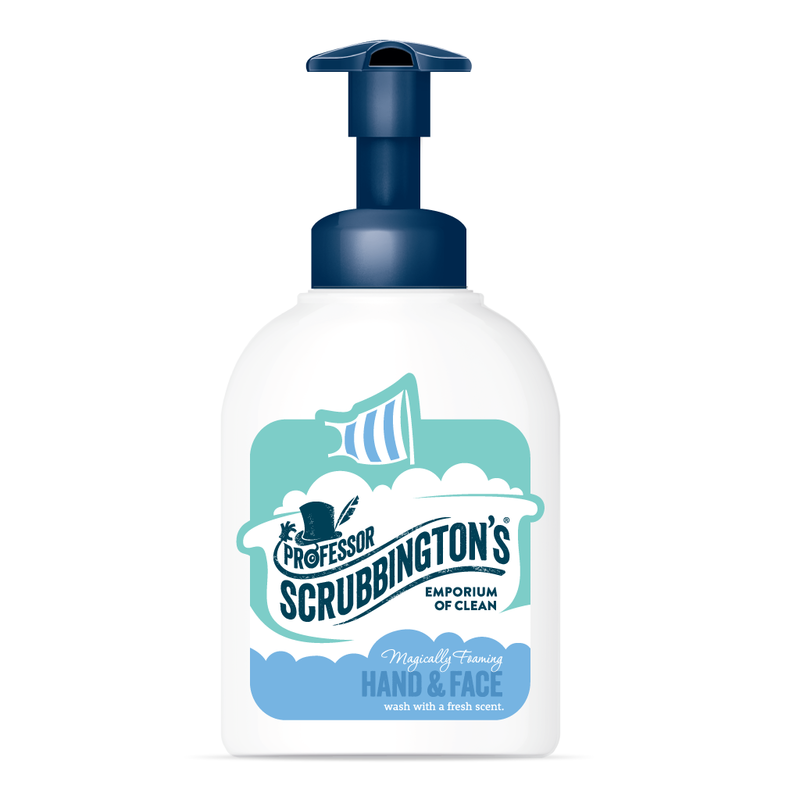 The last, but not least, review product on this month’s list is Professor Scrubbington’s Magically Foaming Hand and Face Wash.
Emma actually got this in the goodies’ bag we all received at Britmums Live as bloggers but I never got to reviewing it. Emma loves the handy pump and the amazing smell and makes it a point of using it every morning before going into school. She takes pleasure in walking out of the house with a squeaky clean face and I am proud to see her become interested in personal hygiene and looking(and smelling!) like a proper wee madam. The washing foam retails at £5.oo and I hope to be soon able to offer my readers a divinely smelling bundle from Professor Scrubbington’s, so stay tuned! Hope you enjoyed reading about our lovely review items, please do get in touch if you are a PR or company and want to see your own products featured in the next month’s round of reviews. Next PostGifts with a difference from..I Just Love It!